The votes are in for the North American Car and Truck of the year with the all-new 2015 Volkswagen Golf and 2015 Ford F-150 taking home the win. Announced today in Detroit as the winners, the VW Golf (TSI, TDI and GTI) and Ford F-150 faced some serious competition battling out the Hyundai Genesis, Ford Mustang for the cars while the Chevy Colorado and Lincoln MKC were in the finalist running. Herndon, VA / Detroit ─ Volkswagen of America, Inc. today announced that the 2015 Golf and 2015 Golf GTI have been named the 2015 North American Car of the Year. 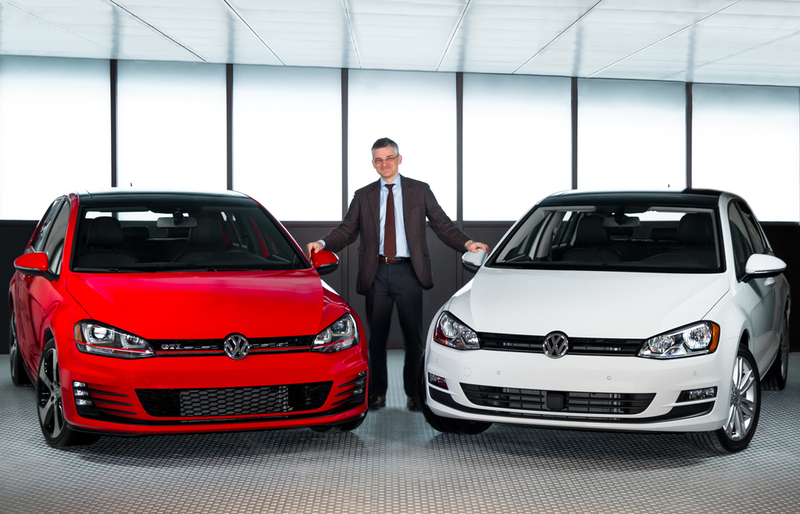 The Golf and Golf GTI were recognized for setting new benchmarks in their segments, including innovation, distinguished design, and available driver assistance features, as well as unmatched value. The cars beat out two other finalists, vying for the award in the 22nd annual iteration of the prestigious award. The coveted 2015 North American Car of the Year award joins the list of a dozen accolades awarded to 2015 Golf models to date. The German-engineered 2015 Golf family is currently available in four distinct versions: the sporty Golf GTI, the fun-to-drive Golf 1.8T, the Golf TDI® Clean Diesel and the all-electric, zero-tailpipe emissions e-Golf. The seventh-generation surpasses its compact class peers with a host of newly available driver assistance features and excellent EPA estimated highway fuel economy. The Golf family will soon welcome two new additions: the all-new 292-horsepower, all-wheel drive Golf R, which sold out a pre-order of 500 units in less than 11 hours; and the TDI® Clean Diesel and turbocharged 1.8-liter TSI® Golf SportWagen models that go on sale in the spring. The North American Car and Truck of the Year awards are announced each year at the beginning of media week at the North American International Auto Show (NAIAS) in Detroit. In 2015, 57 North American Car and Truck of the Year jurors from newspapers, television and radio stations, magazines and websites across the U.S. and Canada weighed in to select the vehicle that most exceeded expectations in all areas, ranging from design and safety to innovation and economy. Three finalists are winnowed down from an expansive list of all-new or significantly redesigned cars introduced in the past year. All ballots are sent directly to and calculated by Deloitte & Touche. This is Volkswagen’s second North American Car of the Year award, following in the wheeltracks of the New Beetle in 1999. The Passat was a finalist in 2012; the Golf/TDI/GTI a finalist in 2010; and the Jetta TDI was a finalist in 2009. Founded in 1955, Volkswagen of America, Inc., an operating unit of Volkswagen Group of America, Inc. (VWoA) is headquartered in Herndon, Virginia. It is a subsidiary of Volkswagen AG, headquartered in Wolfsburg, Germany. VWoA’s operations in the United States include research and development, parts and vehicle processing, parts distribution centers, sales, marketing and service offices, financial service centers, and its state-of-the-art manufacturing facility in Chattanooga, Tennessee. The Volkswagen Group is one of the world’s largest producers of passenger cars and Europe’s largest automaker. VWoA sells the Beetle, Beetle Convertible, CC, Eos, e-Golf, Golf, Golf GTI, Jetta, Jetta SportWagen, Passat, Tiguan, and Touareg vehicles through approximately 651 independent U.S. dealers. The North American Car and Truck of the Year jury is composed of no more than 60 automotive journalists — writers and broadcasters from across the U.S. and Canada. Most have covered the auto industry for decades. Voting for the North American Car and Truck/Utility of the Year occurs in three stages, each of which focuses the jury on a smaller number of vehicles. Early in the fall, the jurors consider all the new or substantially changed vehicles and pick a dozen or so cars and trucks, from what is called the long list, that they think deserve additional consideration. This vote results in what is called the short list. Early in December the jurors vote on those short-list vehicles, sending their ballots directly to Deloitte & Touche in Detroit. On those ballots jurors are given 25 points to distribute among the cars and 25 points to distribute among the trucks. However, no more than 10 points may be given to a single vehicle and those maximum points may be given to only one truck and one car. Jurors must use all their points. The 2015 Ford F-150 took home the North American Truck of the Year award today. The all-new F-150 was picked over Chevrolet Colorado and Lincoln MKC to win the awards presented at the start of the 2015 North American International Auto Show. North American Car of the Year and Truck/Utility of the Year awards recognize vehicles based on factors that include innovation, design, safety, handling, driver satisfaction and value. More than 50 veteran journalists vote for the vehicles, which must be all-new or substantially changed from the previous model to qualify for the awards. The win by F-150 is the eighth time a Ford vehicle has won Truck/Utility of the Year. This is the 22nd year for the awards. 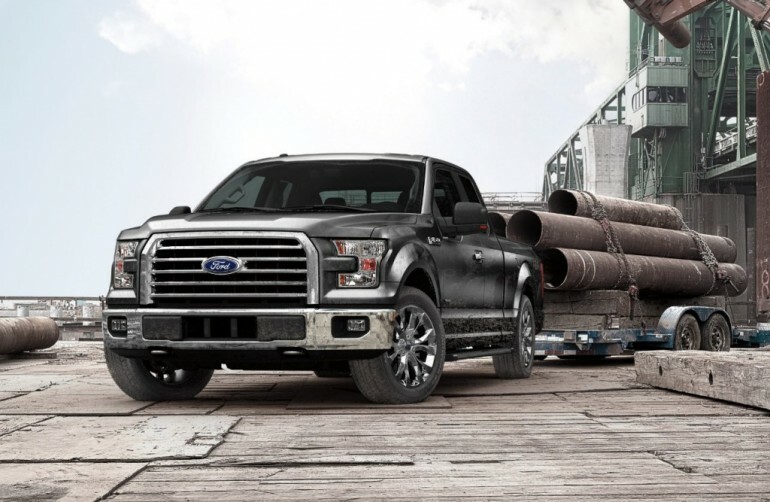 The all-new F-150 is the toughest, smartest and most capable F-150 ever – boasting a military-grade, aluminum-alloy body and high-strength steel frame, and shedding up to 700 pounds for a lighter, more efficient truck than any previous F-150. These weight savings lead to customer benefits regardless of model configuration or engine choice. The innovative new truck can tow up to 1,100 more pounds and haul up to 530 more pounds than the 2014 model, and has the highest EPA-estimated fuel economy ratings of any full-size gasoline pickup on the market. When equipped with an available 2.7-liter EcoBoost engine, the new F-150 4×2 has EPA-estimated fuel economy ratings of 19 mpg city, 26 mpg highway and 22 mpg combined. Actual mileage may vary.